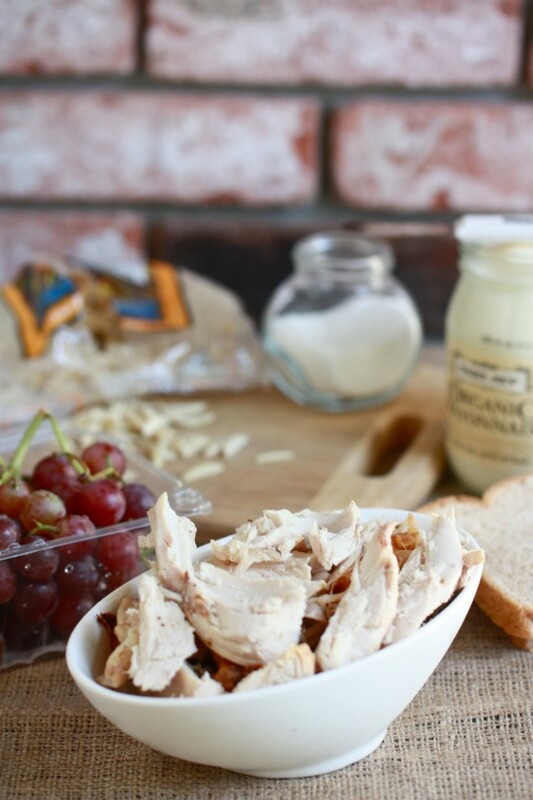 When I was little, mom used to make this chicken salad with rotisserie chicken, juicy sliced grapes and slivered almonds. It was the only chicken salad I ever knew and since I moved away I’ve had many a craving. Only recently, did I discover that this chicken salad mom made has a name! Sonoma chicken salad. I live in Sonoma! It’s meant to be. Okay so I think “real” Sonoma chicken salad uses walnuts instead of almonds and probably has a plethora of other ingredients. I prefer to keep things simple with a little real mayo, a pinch of salt and a pinch of pepper. Six ingredients…that’s it! My view on chicken salad is the simpler, the better. Amen. It’s great on sandwiches, of course, but I love a big scoop of it alongside tortilla chips with more grapes on the side. You can either make this salad with one of those rotisserie chickens they sell at the grocery store (awesome time saver!) or….roast your own chicken! ….and I’ll bet y’all know what coming up next on this ol’ blog. Mix all ingredients. Spread on bread. Dig in! When I saw the pic of the chicken on your instagram feed yesterday, I knew you were up to something! I am all about simplicity, too. The less ingredients, the better! My mom used to make broccoli salad (not chicken salad) but she’d put grapes into it. And slivered almonds and mayo. Probably pretty close to yours..just brock rather than chicken. Confession: I’ve never had tuna, chicken, egg, etc salad before because mayonnaise has always weirded me out. Whew, ok I feel better now. I use greek yogurt in my tuna salads and even in Vegan with a Vengeance’s “Chickpea-Hijiki” (aka mock tuna sandwich) recipe. Can’t even tell the difference! That looks GREAT but I’m not a mayo fan! A great alternative is mixing the chicken with mashed ripe avocado! YUM! Yum! That looks amazing! 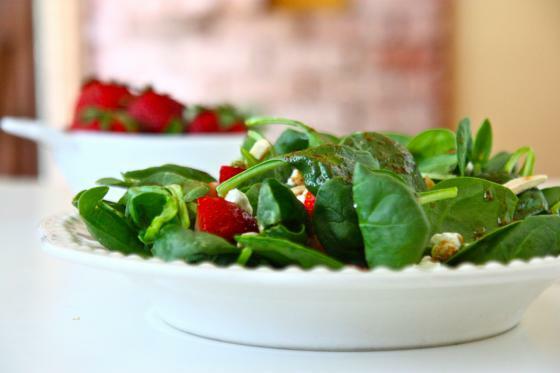 Put some on top of a salad and you have a wonderfully easy way to get in more veggies! I am a fan! Looks like an awesome combination of textures and flavors. My mom makes something like this, too! This looks great – like a real “down-home” comforting and filling meal. 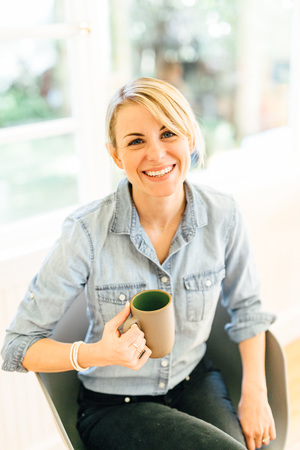 I am addicted to Rotisserie chicken – oh my God – everytime I’m at the grocery store and smell it…I give in and buy a 1/4 of it – the breast so I can get more white meat. …what’s coming up? A roasted chicken?! Yum! This is exactly the way I like my chicken salad, maybe with some celery thrown in too. I have grapes and leftover rotisserie chicken in the fridge, I think I know what I’m having for lunch! I used to hate chicken salad but only because the times I would have it were from a deli counter or a sandwich shop- saturated in mayo, thick, unappealing. I really love the look of this because you keep the chicken in bigger pieces and don’t overload the ingredients or flavors. Simple recipes are my favorite. I used to eat a similar chicken salad at the coffee shop I worked at in high school. I’d mound it on a buttery croissant and CHOW. Mmmm…! Looking forward to the roasted chicken tutorial! I love chicken salads that don’t have the usual suspects in there. I hope you talk about how to cut up the roasted chicken in your next post b/c I can roast one like the best of them but it looks like a massacre has occured when I try and carve it! I think if I made this for my fiance, he would fall in love with me all over again. It would be so easy to make with left overs after roasting a chicken for dinner! I love chicken salad — but I hardly ever have it because usually it is so mayo-y. And as much as I like mayo I don’t like having a ton of it at once. 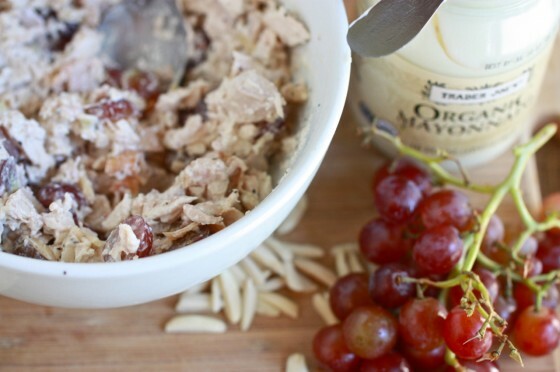 Grapes + almonds in chicken salad is the only way to do it. SO good. It’s been far too long since I’ve had chicken salad – I need to fix this. ohhhhhh, I’m beyond excited to see your roast chicken recipe. I’ve not had this kind of salad before but I’m totally willing to try it. I think I’ll use yogurt instead of mayo. mayo scares me. it seems so unnatural. Mayo is egg yolks, lemon juice, and oil. Nothing unnatural about that! Wonder why people find mayo unnatural? It’s so much more natural than many other condiments! Is there a particular way that we should roast the chicken? I’ve never done it before. Salad looks great. But eek! 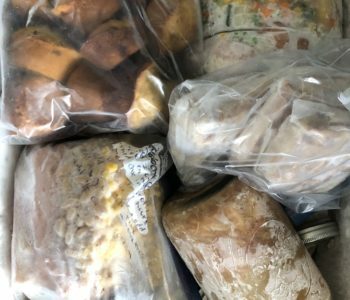 There is a spot of mold on your bread! yeah…there is. Just goes to show you i’m not perfect either! Nobody is perfect! Your bread is still moldy! mmm…I love chicken salad. I haven’t had it in years though. I love grapes in my chicken salad! This looks amazing! Wow, this is the exact chicken salad that I remember from my childhood. My Aunt is the only person in my family who makes it and I remember being absolutely in love with it. I always thought the grapes were strange, though, even though it tasted amazing. 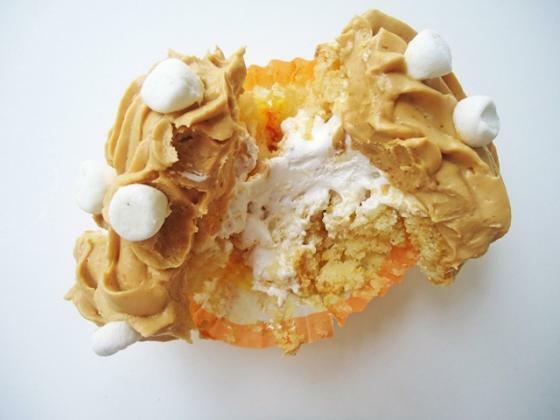 I will definitely be making this! Oh yea this is def my fav kind of chicken salad too. Sometimes I like to add in a stalk of chopped celery for a little added crunch. YUM! I made some chicken salad last week, and used greek yogurt and a tiny bit of mayo (in an attempt to make it “healthy”) but I never thought to use pre-made rotisserie chicken. Great idea! My favorite part of this recipes .. Time: 5 minutes! Looks simple yet delicious. Can’t wait to try it! This looks yummy! I’m also with you on liking a simple chicken salad. It’s the best kind :). Yum! I love sonoma chicken salad and your version looks delicious! That looks so good! I agree about chips being better than bread, it may be the only reason I ever make chili. Loving the recipes and book suggestions! Thanks so much! Thanks for sharing the name of that chicken salad. Who knew?! My husband would LOVE this- thanks for the recipe! 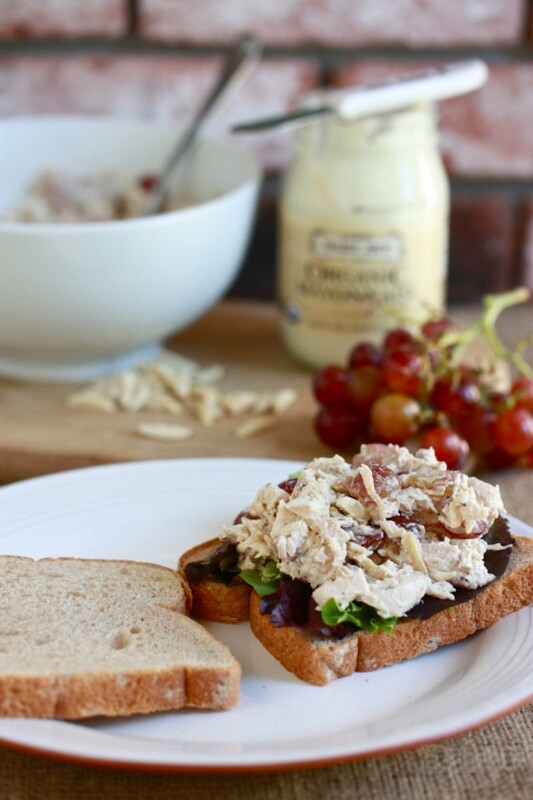 Once I started adding grapes to my chicken salad, there was just no going back…it’s amazing! 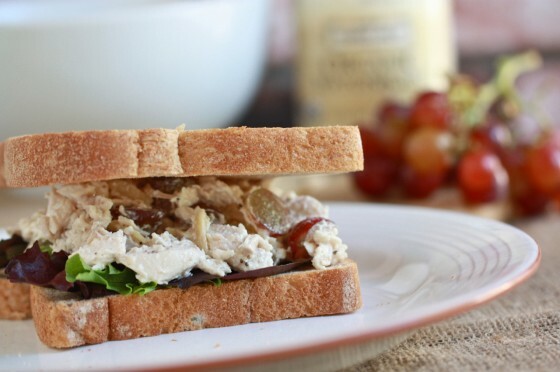 I have never added grapes to chicken salad – I am going to have to try this one out. I love chicken salad! this looks so easy!! have you ever tried it on a croissant? OMG! so good!!!! Simple chicken salads are a summer dream. I like to add curry into mine for a yummy curry salad. The grapes are such a nice crunch! I grew up living on Chicken Salad sandwiches. YUM. I never thought to add walnuts / almonds or grapes though! Genius. I must try. This is the only chicken salad I will eat, except I do use walnuts in mine 🙂 I’ll have to try it out with some almonds. Ewwwww! The bread is totally moldy! Did you eat that? haha no! I realized after I took the shot. looks delicious! I love using rotisserie chicken–it saves so much time and adds so much flavor! Get the black glasses! I honor of ol’ grandpa. They look adorable. 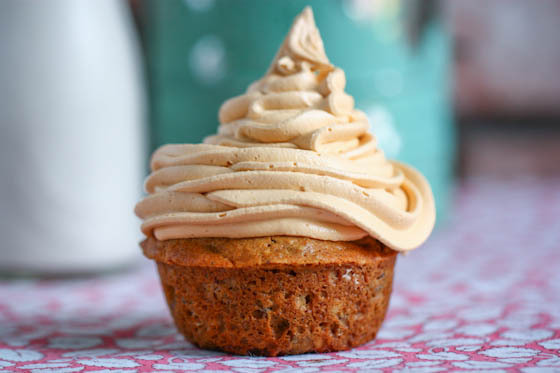 I love your recipe for this – simple but tasty! My aunts made a similar chicken salad with pasta for my bridal shower. I think the only other thing it had was some sour cream and oh my goodness it was delicious! I will use this recipe and put it over pasta I am thinking – yum! Oooooo this has my NAAAAME all over it. But not in pen, just in spirit. Or something. Homemade mayo is awesome. I make my own via a (tweaked) recipe from the Mennonite “More with Less” cookbook that my mom reguarly used many a recipe from when I was growing up. It’s a great money-saver. I prefer to use lime juice in my recipe, and I leave out the paprika & dry mustard the recipe calls for, and also less salt, If I whip it slowly enough I don’t even need to use quite all of the oil, which is even better! My grandma always used apples & pecans in her chicken salad (not my favorite). I’ve heard friends rave about the chicken salad from Jason’s Deli because of the grapes, but never tried it. I miss the jerk chicken salad from my Jamaican restaurant waitressing days, and often attempt to replicate it, with pretty good results. Moldy bread. Pssh! That’s what penicillin was made from. Just pinch the moldy part off and you’re good to go. No worries! This looks great- I always forget about making chicken salad, and these ingredients are so easy! Plus, the hub is a HUGE fan of any chicken salad. Your bread does look tasty I must say-haha!